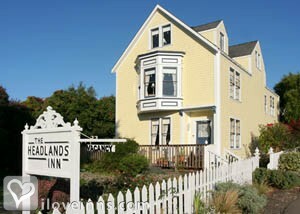 Mendocino bed and breakfast travel guide for romantic, historic and adventure b&b's. 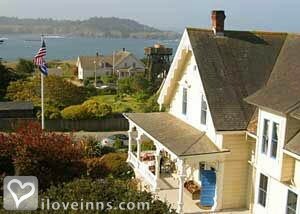 Browse through the iLoveInns.com database of Mendocino, California bed and breakfasts and country inns to find detailed listings that include room rates, special deals and area activities. You can click on the 'check rates and availability' button to contact the innkeeper. Mendocino bed and breakfasts are filled with guests who love the beautiful, historic village nestled on the Northern California coast. 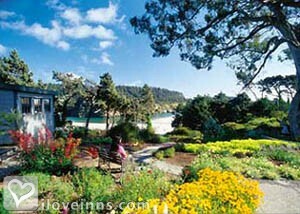 Mendocino is where the redwoods meet the mighty Pacific Ocean with breathtaking ocean views. It is a place of unsurpassed natural beauty, featuring a rugged coastline with unmarred expanses of surging sea and sky, spectacular sunsets, towering redwood forests and fresh exhilarating air. Leisurely browse the historic village and ask your Mendocino bed and breakfast innkeeper to point out some favorite shops & fine galleries, and then end your relaxing day dining at one of Mendocino's superb restaurants. 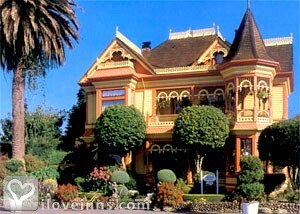 Mendocino delivers the historic charm of the last century with choice accommodations at several quaint bed and breakfast or inns. By Headlands Inn.